Sullivan, Arthur, 1842-1900. Pirates of Penzance. Date Created/Published: Ohio : Federal Art Project, WPA, 1937. 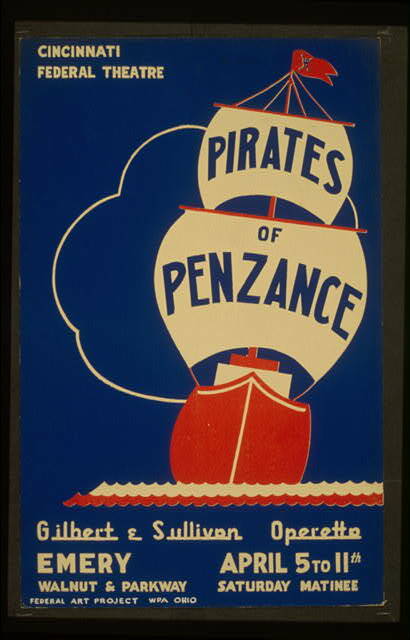 Summary: Poster for Federal Theatre Project presentation of "The Pirates of Penzance" at Emery, Walnut & Parkway, Cincinnati, Ohio, showing a pirate ship. Date stamped on verso: Apr 17 1937. Poster design by James H. Murphy.